Welcome to this month’s Blogorail Teal loop. Today we are sharing some of our favorite summer recipes. 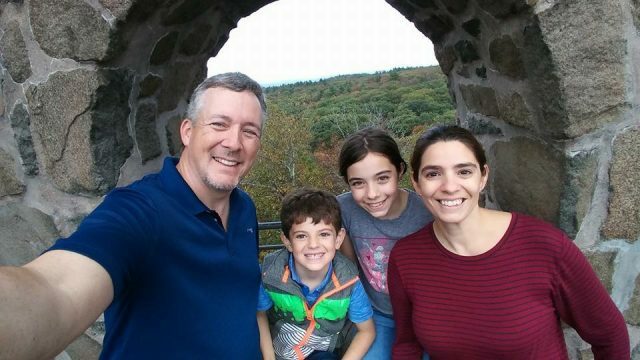 For our family, summertime means fresh food made with flavorful seasonal ingredients. We’re sharing a way to take one of our favorite summer foods, watermelon, to a whole new level. This recipe for Watermelon Salad from Epcot’s Flower and Garden Festival, is the perfect lunch for hot summer days! 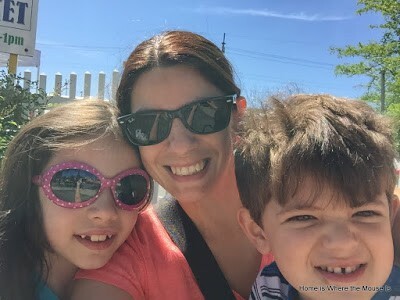 Something the kids and I like to do on Sundays during the summer is go to our local farmer’s market. I love checking out the freshest local ingredients hoping they’ll inspire me to make something yummy. Jackson checking out the fresh produce. The kids, well, they just love going to sample. I don’t mind that much since it’s a great opportunity for them to try new foods. 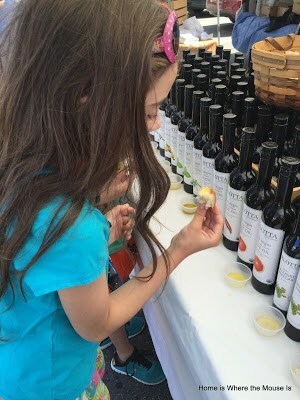 Bella samples the flavored olive oils. Garlic was her favorite. 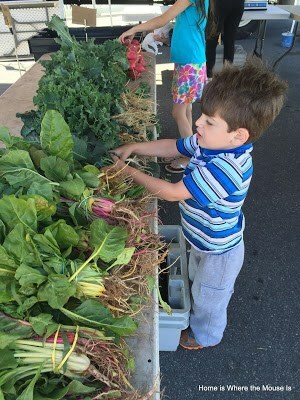 This week was the reopening of our farmer’s market. It’s been a cold and rainy spring here in the northeast, so I wasn’t expecting much. Fortunately, I was lucky enough to score a bundle of fresh arugula. While my kids were sampling (again) the olive oils, I noticed a bottle of white balsamic vinegar. Both ingredients are perfect for the salad recipe I’m about to share. Last March, James and I visited the Epcot International Flower and Garden Festival. 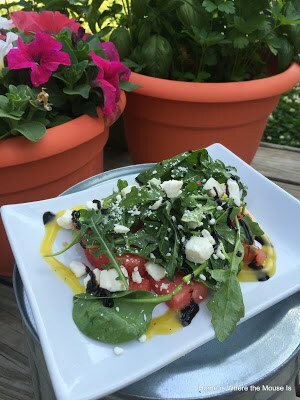 By far the standout dish, for me was the Watermelon Salad with Pickled Onions, Baby Arugula, Feta Cheese and a Balsamic Reduction from Florida Fresh. I loved this salad. It was so refreshing after all of the food we had eaten that day. The combination of the sweet watermelon, spicy arugula and tart feta really hit the spot. I decided to put my own spin on the salad to make it more kid friendly. I opted to leave out the pickled onions in my at home version. Here’s how I did it. 1. Combine first 5 ingredients in a blender until well combined. 1. Divide watermelon among 4 plates. Toss arugula with vinaigrette and season with salt and pepper. 2. 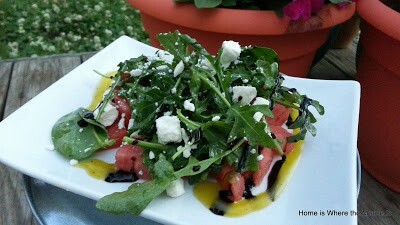 Top each portion of watermelon with arugula and sprinkle with feta. Drizzle with balsamic glaze. Delicious and refreshing, this salad will change how you think of watermelon. It’s not just for dessert anymore. I can't wait to make this! I love watermelon but I always feel like I can do more with it than just slice it and eat it. Since I never make it to the Flower and Garden event at Epcot, this is right up my alley for so many different reasons. Thank you for sharing! This looks so delicious and refreshing! I love this. I am always looking for side dishes for BBQ dinners and I think this is perfect. This looks and sounds fantastic. 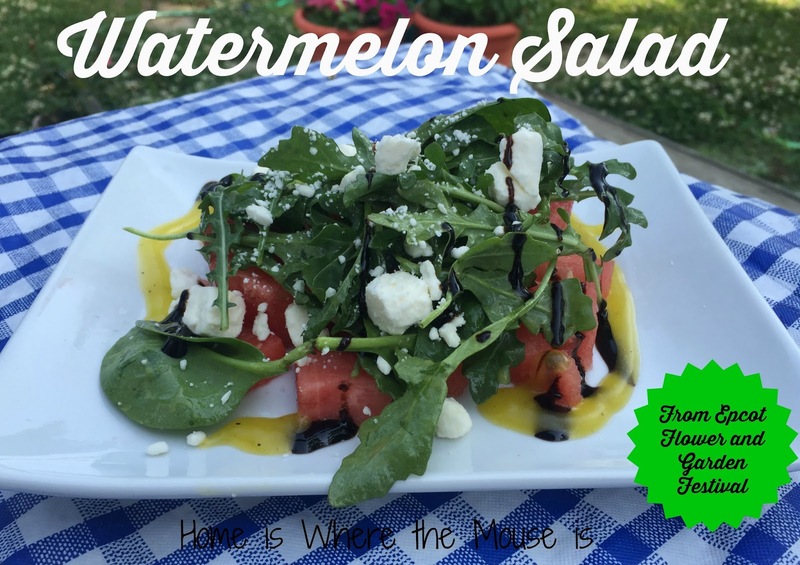 I never would have thought to put watermelon on a salad, but why not? I love strawberries and other fruits on salad, so it makes perfect sense. 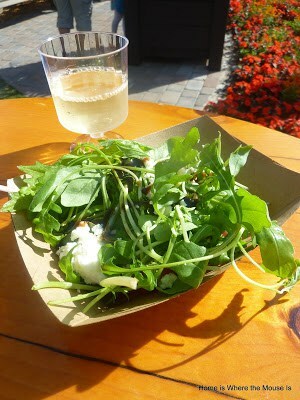 And, I've tried some unique salads at Disney and they are always delicious. I will totally be trying this! Thanks for sharing! Wow, this looks amazing, and so refreshing! I love salads that have fruit on them! I saw a version of this yesterday via Sur la Table's instagram where they served it pizza-style by keeping the watermelon in wedges and adding the toppings like a pizza!